If you would like to add your thoughts on any of Ralph's performances over the years, Email me a concert review and the set list if you like and I will add them to the Reviews page. Ralph was invited back to Swansea to perform at the Dylan Thomas Festival.This year marks the 50th anniversary of Dylan’s death so it really was a special event. David Woolley, the festival organiser, had invited some big names including George Martin, Roger McGough and Brian Pattern, Rowan Williams The Archbishop of Canterbury and Alexei Sayle. It is good to see Ralph in the illustrious company his work richly deserves. The Dylan Thomas Centre houses a museum, bookshop, restaurant and theatre. It is a very intimate setting. Dylan’s daughter Aerony was in the audience and met Ralph before the performance. Ralph introduced the evening setting some themes in this set for the performance of The Boy With A Note which he would perform after the interval. He sang Barges, First Song, Slow Burning Companion, You Well Meaning Brought Me Here, Seeds of Heaven and Michael in the Garden. The themes represented were water (Ralph explained that Dylan means Son of the Sea Wave), love, smoke, fame, guilt and insanity. Slow Burning Companion played with a flat pick and with harmonica accompaniment was particularly effective. Ralph alluded to Woody Guthrie’s influence on his music and in particular this version of the song. The second half kicked off with Ralph reading “Picture him the fat boy with a note begging to be excused games that he said his mother wrote……” Then straight into Summer Girls. This is a song I think Ralph really loves to play and one I never tire of hearing. For me it is a fusion of Ralph’s guitar picking influences- part John Hurt, part Gary Davis but the final product is indisputably McTell. We were then treated to all the songs and some readings from the project including the wonderfully up beat Joseph Spence influenced “Get me a Doctor”. Ralph finally left the stage to a recorded version of “Cradled in the Rocking Boat” and the lights faded. The evening was over. On the 50th anniversary of Dylan Thomas’ death the BBC have commissioned a series of radio programmes to mark the event. Such a shame they omitted to perform The Boy With A Note. If someone had been here to witness this performance it would surely have given them something to change their minds! My arranged pre-gig meeting with Nick and Ralph unfortunately did not happen due to the sound check taking longer than expected. I had got there nice and early too, and I have to say that if it wasn’t for the very helpful signs attached to lampposts and walls by the university staff, saying “Ralph McTell concert” followed by a huge arrow, I think I would still be looking for the hall now! It was a challenge just to get in there. Being there so early had its benefits, however, and when the doors opened at 7:00pm I found myself a front row seat, about 15 feet from the staging. The lights dimmed at 7:40pm and a brief introduction was given by Professor Sebastian Forbes, Director of Music, who had been on the staff at the Uni when Robert was there, and, he informed us, still was! Nick Evans took the stage and did an absolutely superb set of 5 songs: I Want to Know (Robert Earl Keen); Before I Knew Your Name (Mark Erelli); Heroes and Heroines (Mary Chapin Carpenter); Make Me a Christmas (Robert Naylor) and a very emotional Meet On The Ledge (Richard Thompson) to conclude. He also played snippets of Anji (Davey Graham) and Streets of London (Ralph McTell) to illustrate a very amusing anecdote of how Robert, when trying to impress the girls with his playing of Streets, would make him stand in a strategic part of the room so he could indicate to Robert which girl reacted the most to his playing. Ralph commented later in the evening that he had no idea that his song had been a “pulling” song! Both Nick’s voice and guitar playing were strong and clear and if he was nervous it didn’t show (even though he went to pains to tell us that this was not his day job!). After the interval Ralph walked out on stage and went straight into an appropriate First Song followed by Summer Girls and That’ll Do Babe, telling us the background to his writing this tribute to Oliver Hardy and his lightness of step. As he was playing the introduction to The Girl From The Hiring Fair he said, “This is for Marianne”. I was choked. Ralph said that he hoped his choice of songs was sympathetic to the reason for the concert and the rest of his set included Michael In The Garden, Up, Easter Lilies, Now This Has Started, Slip Shod Tap Room Dance, Lost Boys, The Ferryman, Streets Of London, Peppers & Tomatoes and he ended with After Rain. These emotionally charged and thought-provoking songs were punctuated with anecdotes and stories that were both alternately light-hearted and heart-felt, with comments like “only a 19 year old boy would even want to go up in a Spitfire” (Lost Boys); how his Uncle Reg had an allotment and shared his crops with his neighbours, and had a shed, and that to be a ‘real’ man you had to have a shed! “I’ve got two!” Ralph boasted!! (Peppers & Tomatoes). After warm and satisfied applause, Ralph returned to the stage for Lovin’ I Crave as his one encore. He said that he would be out afterwards to talk and sign books and CDs. My own post-gig patience was rewarded with meeting both Nick and Ralph as planned, and a special gift from Ralph for my recent work on a project. Robert Naylor’s parents were at the concert and I hope they were proud to be a part of a very special evening. I wonder what Robert himself would have made of it all. I think he would have been very proud too, particularly of his friend Nick, to whom huge thanks for making the whole event happen. Before the concert started they announced that there was a spare ‘celeb’ table at the front if there was a party of four who would like it. Well I’m not usually so assertive but when there’s a close up of Ralph on offer ….so I was up like a shot dragging David (husband, yes that’s his real name!) and two young lads that we’d befriended sitting next to us,and ended up with a fantastic view about 2 meters from the artists. The two lads were ecstatic –they’d come to see Bernard Butler (glad I did that research now- I was SO well informed!!) and we sat on the table next to him. Ralph was a couple of tables to our left so I had a good view on and off stage. Couldn’t believe our luck – or rather my pushiness! Anyway the musicians were brilliant. I could see Bert’s fingers in close up and believe me they are worth seeing. He is amazing – an inspiration – I have abandoned all plans for the day and am going to play guitar until I can reach the bottom e string with my little finger – it may be some time !!! Ralph was fantastic – as usual – so humble and GORGEOUS. (There is an agenda here other than the music, but I’d need psychiatrist and some regression to my teenage to explain that!!!) He did a couple of numbers with Bert, didn’t know them but they were lovely and Ralph’s voice and playing were spot on. Other artists were great too. Jacqui has a lovely voice –not entirely my cup of tea I have to say – a bit too folky- but I remember Pentangle’s Basket of Light from my oldest sisters LP collection….and they sang the title track! Johnny Marr was great –they did one of his compositions which I have to say surprised me – it was good but nowhere near as good as some of Ralphs and I was left thinking why didn’t they do a ‘Ralph’ instead of a ‘Johnny’! Anyway ,thoroughly enjoyed it – I’d be interested to hear some official reviews ie people who know a bit more (indeed anything!) about Bert. Also the setting was fantastic (converted church)– I’d have gone just for that without the artists! The only shade was right in front of the stage so when The Bucket Boys invited Ralph to join them half way through their set on Friday evening I headed straight for it. Ralph, wielding an electric guitar, led the Boys in his own 'El Progresso' (from 'Streets...'), followed by Woody Guthrie's '(You ain't got no) Do-Re-Mi'. I know I'm hopelessly biased, but it seemed to me that his contribution improved the set considerably - not that the Boys were particularly lacking on their own. Ralph stayed on stage for a couple more numbers (in which he looked less comfortable than when leading) and was joined on backing vocals by Jaqui McShee and Helen Watson for 'See You Later Alligator'. Ralph reappeared on stage at the end of Fairport's Saturday night set, standing with Martin Carthy for the traditional end-of-gig 'Meet on the Ledge'. 2. Zest of the West, The Eden Project, Cornwall, UK, Monday 25 August. I also love driving West, but St Austell is a long, long way from Manchester for a day trip! So we left all the camping gear out from Cropredy and made a week of it. Eden was gloriously hot and sunny - a miracle for an English Bank Holiday! - and the music equal to it. Show of Hands started off proceedings with an instrumental set in the Warm Temperature Biome at noon. They played a selection from their new album 'The Path', evoking the sights and sounds of the Cornish Coastal Path. As soon as they finished, Fisherman's Friends were singing sea shanties around the next corner. And so we enjoyed an afternoon of 'world music from the West country' in this most beautiful of settings. Show of Hands kicked off the evening concert and then Ralph played a 45-minute set. Seated on a low chair and equipped with electro-acoustic guitar and harmonica brace, he was relaxed and confident as he sang 'Nettle Wine', 'Michael in the Garden', 'Run Johnny Run' (with astounding guitar virtuosity), 'Weather the Storm' (with harmonica - for Domenico, who had travelled further than we to record it for his Italian website), 'Now This Has Started', 'Lost Boys', 'The Girl from the Hiring Fair', 'Tequilla Sunset' and 'Peppers and Tomatoes'. Show of Hands continued their set and Steve invited Ralph back to the stage to sing 'From Clare to Here' and - a cappella with SoH and Fisherman's Friends - 'Streets of London': Ralph sang verses 1 and 4, Steve verse 2 and Phil verse 3. Ralph clicked the rhythm with his fingers but Steve and Phil ignored him! Everyone joined in the choruses. It hasn't lost its magic. Eden itself is a must-see attraction. The weather stayed mostly fine for the rest of the week and we did all the touristy things - went to the China clay museum (very near to Eden - fascinating), Bodmin steam railway (chuffed! ), the Camel Trail (well, had a couple of beers in a pub on the said trail...), Camel Valley vineyard (...and bought a case of Cornish wine), Slaughter Bridge (searching for King Arthur...), the Tristan Stone (...and all things Arthurian), Fowey (splendid unspoilt port), and Mevagissey (which has become too touristy!).
" May the road that leads you on, like the choice to be alone, be direction freely made, and at the right time lead you home." Ralph made an appearance quite literally on home soil last Saturday. The place was the Half Moon in Putney and the occasion was a tribute concert to the late publican of the Half Moon, Michael O' Mahoney. As many of you will know Ralph and his musical associates have been closely associated with this venue for many years. Michael was instrumental in enhancing the profile of this venue in the music scene. Over the years musicians such as Ralph, Fairport, Bert Jansch, Elvis Costello and U2 amongst others have performed there. Sadly Michael died last year and typically Ralph arranged a tribute concert to be performed in his memory. The performers played for free and the proceeds went to cancer research charities. The concert was sold out some months ago and tickets were being offered over eBAY recently for £70-00 each. This was a standing room only venue. The evening started with John Jones bringing Ralph onstage to say a few introductory words. It was clear that Ralph had been close to Michael and was clearly moved by the occasion. He then invited the Dylan Project on stage. Steve Gibbons, PJ Wright, Dave Pegg, Simon Nicol and Gerry Conway then proceeded to rip through some great Dylan material, some very old and some contemporary. They finished with a storming version of Highway 61 which then brought Ralph back on stage. By then the room was rocking with a background hum.I wondered how Ralph would react to this as most of his concerts are played in auditoriums to fans sitting and listening earnestly. He started of with a couple of chorus songs- Weather the Storm followed by From Clare to Here, before launching into That'll do Babe. The stature of the man as composer and performer is such that by the time he had finished this piece you could have heard a pin drop. He then went on to play Hands of Joseph and Sweet Dreams of Heaven with those lush descending bass runs. This was followed by Lost Boys and then a rousing Streets of London complete with an angelic "girls only" audience chorus. All too soon Ralph was off and on came Fairport who as always never disappoint and leave you wanting more. Another sad moment came to light when Simon Nicol told us it was 25 years since Sandy had died and the band then performed "Who Knows Where the Time Goes". Indeed. Alas the decorum afforded to Ralph was sadly missing during this song. Fairport finished with a ripping Matty Groves before all the performers minus SN came back to finish with Ralph leading on Zimmerman Blues..My mind flashed back to 1975 when Ralph and his band were out on that ill fated tour. Ralph certainly is a fine solo performer but some of his music sounds so good with other backing musicians. I think however I am in a minority on this one. Steve then took over on "Like a Rolling Stone" before the evening ended fittingly with Richard Thompson's "Meet on the Ledge". So that was that. the evening went in a flash. As ever the "season ticket holders" hung around for Ralph to appear-no doubt keeping him from a well earned pint or two.As ever the man kindly obliged. The memories of a wonderful evening will linger for a long time-if only someone had recorded it! Ralph McTell’s final show of this year and, for at least another year, took place in the fine surroundings of The Queen Elizabeth Hall on London’s South Bank. Christmas trees, lights and decorations decked the surrounds as the maestro signed off for a well-earned sabbatical with a show that left no-one upset but with everyone wanting more. The evening opened with Nick Evans, from Heartland Publishing, thanking Ralph for his 35 years of touring, and announcing that Ralph will be taking a rest during 2003, this then being the last opportunity to see him in a concert setting for a while. The second part of Ralph’s Biography, ‘Summer Lightning’, was plugged, although at this stage, it did not need much plugging. The set was simple. Grand Piano, two Yamaha L11E guitars on stands, and a table with a glass of water. Ralph then took the stage wearing his customary ‘uniform’ of black t-shirt and jeans and red suede shoes. He later mentioned the fact that, whilst he felt comfortable wearing the shoes in concert, he still could not pluck up the courage to wear them outside! The show began with ‘I’m Satisfied’, a Mississippi John Hurt number from the latest album. Ralph then stated that the first time he played the QEH was 1971, and that he felt at home here. ‘Still In Dreams’ from the ‘Red Sky’ album was next, followed by ‘England 1914’ (Spiral Staircase) and ‘The Girl From The Hiring Fair’ (Bridge of Sighs). Ralph then sang ‘Lost Boys’ (Red Sky), the poignant reminder of how young men were expected to fight a war for our nation when they were only mere boys themselves. Ralph’s ‘ecological song’ from 1971, ‘First & Last Man’ (You Well-Meaning) was next, and dedicated to Gus & Sheila Dudgeon, who were both so tragically killed in a car crash a few months ago. Gus produced Ralph’s first album and both he and Sheila actually sang backing vocals on this song on the original album. ‘Now This Has Started’ (Red Sky) and ‘Clare To Here’ (Right Side Up) led up to Ralph swapping guitars for the open-tuned Yamaha, and ‘Bentley & Craig’ (Water of Dreams) followed, with Ralph’s strong views against Capital Punishment being vehemently aired. ‘Sand In Your Shoes’ from the album of the same name closed an excellent first set and left the audience aching for more. We didn’t have to wait for long. Ralph began the second set on piano with ‘England’, made famous in the closing credits of Billy Connolly’s television series ‘World Tour of England, Ireland and Wales’, then it was back to the trusty guitar for ‘Michael In The Garden’ (My Side Of Your Window) before ‘Streets Of London’, again with Ralph explaining that the real words of the song are ‘… and held loosely at his side, yesterday’s paper telling yesterday’s news’, and NOT ‘...hand held loosely at his side..’ He expressed relief that in the new songbook, just released, the words are printed correctly for the first time ever! Two lovely ballads followed; ‘Summer Lightning’ (Easy) and ‘Easter Lilies’ (Red Sky), before Ralph dedicated an instrumental Rag for “My Mum, who likes the ‘goey ones”! She would have enjoyed this one, which was greeted with rapturous applause. It was then back to the Grand for two songs that symbolise the dignity of old age. ‘Old Brown Dog’ (You Well-Meaning) and ‘Naomi’ (Right Side Up), before the beautiful ‘Traces’ from ‘Slide Away The Screen’ ended Ralph’s stint on the piano. For a guy who doesn’t read music, he doesn’t do a bad job! With 2003 being the 50th Anniversary of the death of Welsh poet Dylan Thomas, and with Ralph hoping to be involved in the activities next year in Swansea, it was fitting that he found time to incorporate a couple of numbers from his ‘Boy With A Note’ album. His ‘Tom Mates’ 12-string appeared for ‘Irish Girl’ and ‘Conundrum Of Time’, which were dedicated to the legendary Welshman and his wife. Ralph then fixed his harmonica round his neck before dedicating ‘Working On The Railroad’ and ‘Rock Island Line’ to Lonnie Donnegan, who also sadly departed us recently. Back to the Yamaha, and we were treated to a superb rendition of ‘Up’ (Red Sky) before Ralph reiterated what Nick Evans had previously told us; That he would be taking a year off, that he was not retiring, and that we might even spot him busking somewhere. The main reason given was to see more of the grandchildren and, basically, just ‘chill out’. You certainly deserve that Ralph. ‘Irish Blessing’ (Sand in Your Shoes) ended the set, and we had indeed been treated to two hours of wonderfully poignant music and song from a true folk legend. Ralph appeared for an encore equipped with his infamous ‘mock’ National Guitar’, and the evening was brought to a close with ‘He’s In The Jailhouse Now’ and a blues instrumental which sent us all off totally satisfied, bouncing along the South Bank, and looking forward to what Ralph’s year off will bring. Ralph was back in Exeter as he reaches the final stages of his Autumn Tour. I am sure many of you have been reading his entertaining tour diary and, despite lousy weather, gridlock on our roads, and possible malnutrition, Ralph and Donard looked fit and healthy. The gig was sold out and started a few minutes late as row K seemed to have gone missing! Ralph played beautifully for an hour and a half and produced a wonderfully balanced set. There really is not much to be said that hasn’t been said already about this man and his music. Like many of you I shall be at the QEH on the South Bank to celebrate the end of another great year for Ralph and Leola Music and send him on his way for a richly deserved sabbatical. Keep on truckin’ our blues away Ralph! One Too Many Mornings. I’m Satisfied. In Dreams. Lost Boys. Easter Lillies. Working on the Railroad ( Rock Island Line) Conundrum of Time. That’ll do Babe. Streets of London. After Rain. Peppers & Tomatoes. Glory of Love ( please put this out on Songs for Six Strings!). Irish Blessing. Up. "… stop this special night from running into morning light too soon." The gruelling eight-hour drive from Swansea to Liverpool must have stretched Ralph's "arrive alive" maxim to breaking point. At eight o'clock the only occupants of this Edwardian gem's large stage were a bar stool and a small occasional table with a glass of water at the ready. Then, having had no time to set up and sound check, Donard walked on, placed the Yamaha L11E acoustic guitar on its stand centre-stage, and exited right. It was a prophetic act. Five minutes later, Ralph made his entrance in black shirt and jeans and the now-familiar red shoes, perched himself on the stool and strapped on the guitar. He stayed in that position for an hour and a half and played a sublimely beautiful set of songs and tunes that placed the Yamaha as the star of the show. Whether claw-hammered, flat-picked or in rag time, 'she' was clearly in full control of Ralph's fingers, responding effortlessly to every new riff and change of pace. Ralph provided accompaniment with vocals and anecdotes, positioning the songs in their true-life settings. There was the customary smattering of songs from Ralph's unwitting mentors, and self-penned material from the whole span of Ralph's thirty-seven years as a concert and recording artiste. The word is out that Ralph will be taking a well-earned rest from touring next year, so if you were waiting for him to come nearer to you in the Spring, think again - there are still ten dates left on this tour, which culminates with Ralph's seasonal South Bank concert on December 12. I'll be there. The set list, in chronological order: 'Glory of love' (from the singing of Big Bill Broonzey, 1956); 'One too many mornings' (from Bob Dylan's "The Times They Are A-Changin' " 1964); 'Nanna's song' (1968); 'Streets of London' (1969); 'Nettle wine' (1972); 'Heron song' (1975); 'One heart' (1979); 'That'll do Babe' (1990); 'Conundrum of time' and 'Slip-shod tap-room dance' (1992); 'Still in dreams' and 'Peppers and tomatoes' (1995); 'Easter lillies', 'Lost boys' and 'Up' (2000); 'I'm satisfied' (2002, from the singing of Mississippi John Hurt, 1966). What can I say that’s not already been said about our national treasure? What a wonderful evening we had at Bangor last Saturday. I went along with wife Anne, daughter and grandson Joe. Joe was delighted to hear Ralph sing his favourite song, ‘Barges’. It really was a memorable night. Ralph appeared completely relaxed, enjoying the gift which he has and wanting so much to share it with his audience. The joy his music has given to so many over the last 30 years or so is immeasurable. I understand he is having a well-earned break next year. Maybe it’s a good time to enjoy the best occupation - watching love grow is the best occupation with the family, especially the newcomers. Thanks, Ralph, for the songs and for the warmth of your friendship. PS. Please don’t say ‘No’ to Cropredy. Ralph at Cropredy Festival, 10 Aug 2002. Ralph was invited onto the Cropredy stage half-way through Fairport Convention's three-and-a-half-hour 35th Anniversary set. As the festival programme says, "If anyone deserves the title 'Honorary Fairport member', it's Ralph... his songwriting has underpinned Fairport's later career... Fairport members past and present - on some occasions virtually the entire band - have provided backing on several of his albums". Simon Nicol (present), Jerry Donahue and Maart Allcock (past) supported Ralph as he sang a song penned by Trevor Lucas (past) to a traditional air - a poignant tribute to Trevor and his wife, Sandy Denny, who are much-missed and remembered at Cropredy every year. Then Maart's keyboard was joined by Chris Parkinson's piano accordion to accompany Ralph's "very special Cropredy anthem". Ralph wrote 'Red and Gold' for Fairport to commemorate the Civil War battle fought in 1644 in the fields adjoining the festival site. It was good of the boys to allow Ralph to sing 'his' song at 'their' party. If you missed the only other recording of Ralph singing this classic (on 'Songs for Six Strings'), look out for the Cropredy 2002 CD. Ralph completed a brief but memorable set with his own British Isles anthem, 'England' - aka 'Ireland'/'Scotland'/'Wales' - and then disappeared into the night to warm applause from the Cropredy faithful. And so the festival season is over and Ralph is off on long and winding Irish roads before returning to Great Britain for another autumn/winter tour. Check out the tour dates and buy your tickets early to ensure the best seats in the house - and please write a few words to Andy to let us all know what you think of the man and his music. Ralph drove from Cornwall and Donard from London to meet at the annual Priddy Folk Fayre last Friday. Priddy is a small village in the Mendips just the other side of Cheddar in Somerset. This was the 12th annual Fayre and it is a lovely intimate affair. Ralph played in the main marquee and topped the bill which comprised amongst others the wonderful singer songwriter Alan Burke from Dublin, and a South London folk fusion Suntrap. Ralph was in phenomenal form and seemed at home. I have only seen Ralph play at Festivals a couple of times before- once when he topped the bill at Cambridge- and once at Cropredy. Tonight I and the sell out audience were not disappointed. He ripped through a long set comprising old and more contemporary songs plus the usual rags and blues. Despite being on stage for almost two hours the audience were asking for more well past midnight. Highlights for me were the marvellous National Songs especially the humorous Arthur Blake's" In the Jailhouse Now", and a powerful and dramatic rendition of "Peppers and Tomatoes".You could shut your eyes and imagine the story unfolding just outside the marquee as he sang "Hiring Fair" Ralph has probably been best known for his gentler side but tonight his harder writing and performing edge was right out there for all to see and this was encapsulated by cracking renditions of "Michael in the Garden" and the more recent "Lost Boys". It was wonderful to see the audience singing choruses of not only "Streets" but also favourites such as "First Song". Thanks Ralph for another great evening. See you in the Autumn if not before! Songs played although not in this order were Up, Girl from the North Country, That'll do Babe, Hiring Fair, Michael in the Garden, Dry Bone Shuffle, After Rain, Irish Blessing, Now this has Started, Lost Boys, In the Jailhouse, Weeping Willow, Peppers and Tomatoes, First Song, Terminus, Hands of Joseph, Streets of London. Strolling along Leigh on Sea High Street on Saturday I saw a man sporting a pair of red shoes. "Ive seen those shoes live in concert "I thought to myself.On approaching the man he said that they were not the red shoes but just look alikes.The real red shoes he told me were doing a gig that very night at the Leigh community centre. On attending the gig later in the evening there they were.They shuffled and tapped away all night ably supported by the songs and music of Ralph Mctell.The evening was the highlight of the Leigh Folk Festival. Ralph sang songs going back through the decades to the early 70s.Songs included Lost Boys,Peppers and tomatoes, Streets of London,to name but a few plus my own personal favourite Barges. For those of you who are getting withdrawal symptoms waiting for the Autumn tour to be announced Ralph is at a few festivals in the Summer and I’ve noticed details are now on his main website.
" It's a stillness in the evening, it's the heartbeat that I'm feeling, from Cornwall to Northumberland,from the Pennines to the sea..."
Ralph was in Bristol last Saturday night. The music scene here is pretty vibrant and there are a lot of competing gigs.Nonetheless Ralph sold out the QEH Theatre well in advance.As ever he gave it his all and played a lovely relaxed set and told some good stories. It is over thirty five years since Ralph hit the road and though it does not quite compete with one of his hero's "never ending tour", I cannot recall, apart from his annus horribalis of 1976, him having a significant break from the road. The reason why is clear-his old fans still want more and he is still attracting new ones as well. Not only is Ralph a wonderful singer, guitarist and writer, but he is a lovely man. Despite several nights out on the road and hoping to get home for a night before setting out again for Sussex the next night,Ralph was generous in giving his fans and friends plenty of time at the end. We were treated to some playing tips and a great story of how Ralph and Nanna happened to be at the Eurovision song contest in Dublin a few years ago supporting the now infamous "nil point" Norwegian entry. The sound was great- top marks to Donnard who never forgets a thing and remembered a spare battery for the gaffer's ear piece! So off he sets for another town and another show. 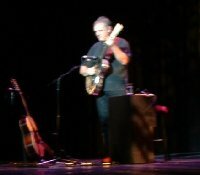 At a time when most of us might fancy a couple of pints in our local and a quiet night, Ralph McTell is hitting some hard travelling and giving it his all. Keep going Ralph-your fans around the country are enjoying your music more than ever. Up, Hiring Fair, That'll do Babe, Let me Fly or Let me Fall, England, Finger Buster, In the Jaihouse Now, Weeping Willow, Candyman, Streets of London, Now this has Started, Easter Lillies, Lost Boys, The Setting, Sand in Your Shoes. Ralph seemed very relaxed when he played in Bristol last weekend and this time he played a total of 4 different guitars! So thoughtful of him to change the set as he knew some of the audience had seen him previously on this tour. I have so many favourites now that I have no favourites - how do you pick one from so many great songs!!! Up, Hiring fair, Hard Times, Let me fly, Lost Boys to name a few - it was a great set. Good to hear Candyman and Fingerbuster. Ralph finished off with the Setting - roll on the Autumn tour! "There's a song that will linger forever in our ears." Ralph at The Met, Bury, 18 April 2002. Ralph's very own World Tour of South East Lancashire finally arrived in Bury on Thursday. It's been a long road from the Accrington Stanley social club in the mid '60s, via a marquee in Manchester's Platt Fields, the Mechanics' Institute in Burnley, magnificent Victorian Town Halls in Bolton, Blackburn and Colne, and more recently the splendid Sema Hall at the Royal Northern College of Music. It was worth the wait, and the main hall at The Met was sold out in advance. Ralph opened the set standing with the Yamaha 6-string. Relaxed and confident, he played 'Stagolee', a traditional ballad from Woody Guthrie's repertoire. Then his own country-styled 'I don't think about you', followed by 'The girl from the hiring fair' that he wrote for Fairport Convention. Returning to America, Ralph sang the 19-th century 'Hard times' by Stephen Foster, who died in the last phase of the war that freed the slaves who had taught him so much by their singing. Swapping the wooden Yamaha for the steel resophonic 'Barnsley fighting guitar' (in case you weren't sure, Barnsley is over the border, in Yorkshire), Ralph produced a stool from behind his magician's table and treated us to Blind Boy Fuller's 'Truckin' little baby' and 'Weeping willow', split by his own 'That'll do Babe' - starting deceptively easily but leaving the audience breathless and amazed at the end. Next came the highlight of the evening, and I guess of this half of the National Treasure tour - the new 12-string guitar. 'England', retrieved from obscurity by the current Billy Connolly TV series, 'Fingerbuster' and the hauntingly beautiful 'Let me fly or let me fall' go straight onto my wish-list for a 'Songs for 12 Strings' CD. Back to 6 strings for 'Streets', the 'blip on an otherwise spotless career'. Then, tuning the bottom string down to D, Ralph honoured an impromptu audience request for 'Nettle wine', and seamlessly retuned for 'Now this has started'. No McTell concert would be complete without a reference to Blind Arthur Blake, and Ralph's interpretation of Blake's 'Dry bone shuffle' has become increasingly complex over the years - the refrain to 'Truckin' little baby' was in there, and did I hear the faint whistle of 'Freight train'.?! The finale comprised three songs from the Red Sky' CD - 'Easter lilies', 'Lost boys' (whose impact grows with each hearing) and 'Up'. Another wonderful set by a wonderful performer in full yet humble command of his gifts. If you wait after the concert for Ralph to sign your new CD – or even the old LP sleeve you brought for this purpose - he will talk to you for two minutes as though you were an old friend. 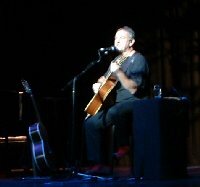 But first, the encore, and the red shoes solution to the 'Zimmerman blues', played on the 12-string. Thank you once again, my friend, for truckin' my blues away. Your road may take you away for a couple of weeks, but you'll be back in Lanky in May for your first visit to Salford's Lowry theatre. "The angels want to wear my red shoes ..."
Ralph was in concert at Taunton last night looking very colour coordinated with matching red shoes and guitar strap!Despite being under the weather with a recent viral illness, Ralph as ever, produced a wonderful set. Songs played were - Stagolee, Nettle Wine, Hiring Fair, He's in the Jailhouse Now, Hard Times, National 7, Let me Fly or let me Fall, Finger Buster, Heron Song, That'll do Babe, Streets of London, Now this has Started, Easter Lillies, Lost Boys. He encored with Up and Zimmerman Blues. Highlights for me were a fabulous arrangement of Let me fly on his beautiful Tom Mates 12 String accompanied with harmonica. Also a new arrangement of Lost Boys which undoubtedly is one of his strongest current compositions. We left the auditorium to the sounds of Cara Dillon singing Ireland his current finale to Billy Connolly's TV programme. It was lovely to meet Carol and Stuart- see you again at QEH Bristol. The tour moves up north to Bury where I imagine John B will provide a more eloquent review than mine! So Donnard make sure Ralph gets some early nights and let's hope he soon gets over this bug. Go out and see him if you can-you will not be disappointed. 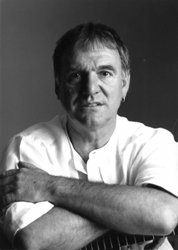 It is quite appropriate that Ralph McTell should have choosen the Purcell Room as the venue for the coda to his Autumn 2001 National Tour. For when Henry Purcell died in 1695 he was the most celebrated composer of odes and solo songs in the land, and McTell is in his own lifetime regarded by many as THE English singer-songwriter. And, like Purcell before him, McTell readily acknowledges the influence of musicians from foreign shores. In Ralph's case, this is essentially trans-Atlantic, and much of his music nods in the direction of black (and often blind) ragtime guitarists, the social commentaries of Woody Guthrie and the changin' times of Bob Dylan. 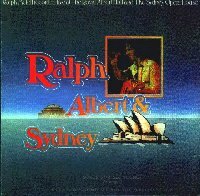 Ralph's own travellin' days were represented by his odes to Australia ('In the Dreamtime'), French art cinema ('FIN', sensitively accompanied by Chris Parkinson on accordian), Ireland ('The Setting'), and finally his beloved Cornwall ('I Love Driving West'). The Hit, sung with audience obligato, was preceded by a monologue that needs to be seen on video, as Ralph graphically explained that the published score has a spurious 'h' in the first verse suggesting the Old Man has a loose hand. Many of his songs strike a chord in his fans' own experiences, witnessed by the number of requests and dedications that Ralph read out. He finished the set in seasonal vein with 'In the Bleak Midwinter', a childhood favourite and a constant request from fans who if they knew no better would swear he must have written it. This was a superbly balanced set, drawn from a repertoire of nearly 400 songs and tunes written or sung during the last thirty-five years or so. Ralph is singing and playing - and writing - better than ever. Volume two of his autobiography is due out in the new year. He has just reissued - by popular request - an album of songs from the 1980's children's TV show 'Alphabet Zoo', and a similar CD of 'Tickle on the Tum' songs is promised. The 'National Treasure' release has been delayed by the shocking revelation that the eponymous guitar isn't what it seemed (!)... oh dear, I'll have to think of another Christmas present. Ralph's previous visit to the Purcell Room in 1998 resulted in the 'Travelling Man' double CD, praised by George Harrison for its 'superbly uncluttered recordings'. If purchance the sound desk captured the warm humanity of this performance, the CD of this concert will be a treasure beyond words. God bless you and yours, Ralph. Thank you for blessing us. Ralph was in fine form this evening for the last date of his current tour. There were many familiar faces around in the audience including some of Ralphs family and friends and several of us who had travelled a fair way to see him. He played a real mix of old and new and threw in some Woodie Guthrie and Bob Dylan for good measure. For me, several songs stood out - most of all Fin and he was joined on stage for this number and the rest of the show by Chris Parkinson playing accordion and harmonica (he played on the Red Sky CD). This song was the highlight of the tour for me with its beautiful haunting melody. Others that I really enjoyed were Lost Boys, Sand in your shoes, He's in the jailhouse now and England 1914, which he sang for me! After rain was dedicated to Stuart Gentry who several of you would have heard of on this website. Ralph left the stage after the Setting to re-tune his guitar and Chris did an unexpected solo spot which went down very well. Ralph did one encore - his favourite at this time of year - In the bleak midwinter. Unfortunately the staff seemed rather too keen to put up the house lights and Ralph didn't come out again - a shame for us 'cos we could have listened all night - the man was brilliant!! Ralph in Exeter, Autumn 2001.
" We love driving west......."
Taking the above advice this time I took my long suffering family to see Ralph in Exeter.Ralph's music has been around us forever. The first thing I bought my,then girlfriend, now wife, Michaela was a tape of Streets. The two lads Mark and Matthew, seem to enjoy Ralph's children's and grown up songs so we hit the M5 in fine spirits. The Exeter Phoenix is a great venue- lovely bar and restaurant and good sized auditorium right in the middle of Exeter. The concert kicked off at 8.30 a bit too late for our youngest! He strained forward to catch a good view of Ralph and then promptly fell asleep. Who needs "Keeping the Night at Bay" when we have our very own Rip Van Winkle? Ralph was in fine form and played a great set. As always on this tour he was well received. He finished the performance with "Clown" which goes back to about 1966. Ralph pointed out that the song was older than his touring manager/ sound man Donard! The two of them headed off to Dartford for the last gig of the tour at the Mick Jagger Theatre on Saturday evening. Hopefully Ralph was in good spirits because Fulham did win on Saturday! So thanks Ralph and Donard for another great tour. We look forward to hearing National Treasure soon and seeing you again in 2002. Ralph at Accrington Town Hall, Friday 19 October 2001. Another full house for Ralph's National Tour. Ralph sat in his favouite position - on a barstool with plenty of foot-tapping room. He opened the set on the Yamaha acoustic guitar picked up on a mic, giving a purity of sound to show off his incredible finger-picking technique. Each song was accompanied by a story of the people or events that shaped Ralph and his songs, each delivered with confidence, grace and humour. Then the National steel guitar made its Accrington debut, followed by a reading from 'Angel Laughter'. Back to the Yamaha for the finale... everyone joined in on 'Streets', then listened in awe to a powerful rendition of 'Michael' before Ralph closed with 'Gypsy', which has become a new anthem for Freedom. To my amazement Ralph had performed for nearly two hours - the most enjoyable set I can recall in over thirty years of attending McTell concerts! There's still time to catch Ralph on this tour. It's a show for all the family... take you Gran, take the kids, they'll all love this master at the peak of his craft. The news on the National Treasure CD is that Ralph has one more track to lay down, and it should be out by Christmas. It's top of my pressie list already. Ralph in Cirencester, Sunday October 7th 2001. I also saw Ralph in Cirencester and thought it was great - he was so relaxed and you could see just how much he loved playing his new National Guitar. I just hope I can get to see him again on this tour. It's a shame the new CD wasn't ready but I can't wait to hear it! Also loved Grand Affair, his finale and he made an excellent choice of songs for his set - a real mix of old and new. He seems to get better and better - and I've been following his music since 1971!! Ralph was in Cirencester last night. He played to a full house at the Sundial Theatre. As ever he performed a wonderfully relaxed set, the highlight of which, were the songs he played on his National Steel guitar. These included "Trucking Little Babe" "That'll never happen no more" "Weeping Willow" "National Seven" and "He's is in the jailhouse now". We were brought back to earth with a reminder of recent current events as Ralph finished the set with "Gypsy" and the evening finally ended with a beautiful rendition of the "Grande Affaire". If you can, catch him on his Autumn Tour- he is in fine voice and his guitar playing has to be seen to be believed. A true genius!